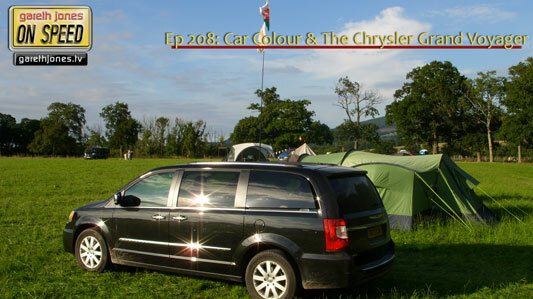 #208 What colour should your car be? This year’s On Speed Summer Holiday Vehicle is The Chrysler Grand Voyager; cool, well engineered or neither? Richard drives 7 quick cars. Plus Sniff Petrol on the Austin Allegro, the colour white and the US economy.